Display retargeting tags are present on 52% of the top 2,000 UK websites and 48% of the top US websites. This statistic comes from the first edition of Econsultancy’s Display Retargeting Buyer’s Guide which has just been published. The guide highlights the latest trends in an industry driven by great conversion results, but sometimes marred by consumer negativity and held back by changing cookie policies. 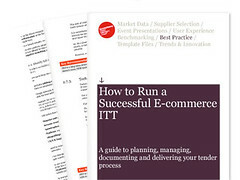 E-commerce consultant James Gurd is the author of Econsultancy’s new report entitled How to Run a Successful E-commerce ITT which is aimed at e-commerce managers. The report, which will also interest vendors and agencies, goes into great detail about the whole Invitation to Tender process. Here, he answers some questions about the report and what drove him to write it. 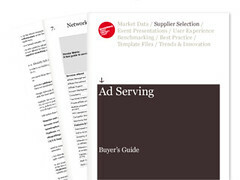 Econsultancy has this month published an updated version of the Ad Serving Buyer’s Guide, containing detailed information about the trends and issues affecting the online advertising sector as well as useful advice for those seeking a suitable ad serving supplier. that should be avoided like the plague. avoided, with a focus on agencies and firms.